The multiplicity of enervating socio-political circumstances in the country has given the 2019 general election up a frightening dimension. What could be the conclusion of the whole schemes? There is worry and tension is building. History is likely to repeat itself. Would President Muhammadu Buhari’s second coming engender a breach in democratic proceedings as his first? Those are some of the immediate summations of the nature of posturing and protestations by some political and non-political actors in the country in recent times. To make matters grimmer, former President Olusegun Obasanjo, the legendary author of ominous missives, has come out to vote for restructuring, not minding that Buhari, the Commander-in-Chief, has placed a tight lid on such a possibility. 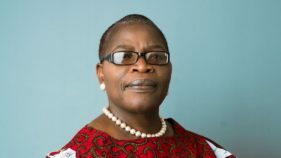 President Buhari had in a nationwide broadcast to usher in the year 2018 announced his preference for process to restructuring, decrying the impatient cravings of Nigerians for new things.But in what appeared as an unsolicited tutorial on the necessity of restructuring or citizen negotiation to Buhari, Obasanjo declaimed the risks Nigeria stands to face in the event that it shuns peaceful review of its governance structure. 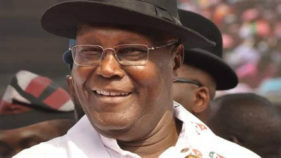 Former Vice President Alhaji Atiku Abubakar blew the whistle signaling the infringement on the current bogus political structure of the country, and harping on the need for restructuring as the ready panacea. 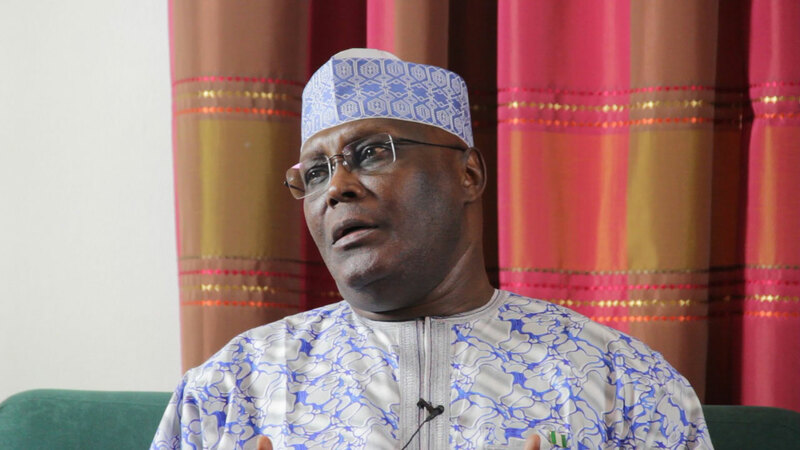 Coming at a time of great national suspense and unease over the sour socio-economic situation of the country, Atiku’s prescription captured the imagination of many a political and ethnic nationality leader. That Obasanjo, who has not hidden his aversion to Atiku’s political progression should stand for the recommendation shows that as Americans are wont to say, something is fixing to happen. A fortnight ago some suspected Fulani herdsmen invaded some communities in Benue State and left a trail of death, tears, sorrow and blood. As the lifeless bodies of 73 citizens were buried in a mass grave in the state, most people did not fail to ask what manner of country is it that engages in endless butchery, defying every appeal to sustainable development. Without placing the killings within the context of restructuring, the national publicity secretary of APC, Malam Bolaji Abdullahi, noted that unless something was done and very fast too, about the menace of killings by murderous herdsmen the ruling party risks losing the 2019 general election. THERE were indications that Abdullahi’s wise observation did not represent the consensus opinion within the ruling APC. Days after the massacre of the 73 hapless Benue indigenes, seven governors on the APC platform visited President Buhari to discuss the pros and cons of the president’s possible candidacy for a second term in 2019.Although many commentators condemned the political visit as vile and unconscionable, the governors showed by their action that considerations for 2019 supersede all other national interests. Governor Nasir El-Rufai’s dicta on the occasion that we are politicians and owe no one any apology for pushing for Buhari’s second term despite the overarching national apprehension over the overt leadership failure triggering the social distemper seemed to echo the dividing line between the need for restructuring and the imperatives of political considerations. 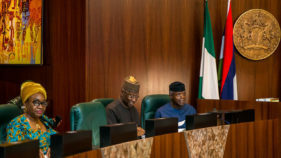 The fact that seven out of the 24 governors produced by APC selected themselves to lobby the president to accede to a second term ambition left the impression that their desperation, even in the face of a monumental security breach in one of the states under their canopy, was a minority position. Some party faithful declared that the seven governors “did not form a quorum in their ignoble quest,” regretting that the Kaduna State governor was positioning himself for possible endorsement by Buhari to contest the 2019 presidential post.Sources also disclosed that El Rufai is one of the few governors in the north opposed to restructuring. Yet the governor was at the head of a committee set up by the party to interrogate what restructuring entails. Prior to President Buhari’s public denunciation of restructuring, the El Rufai committee was touring the country’s geo-political zones receiving inputs from the various sections regarding devolution of powers, fiscal federalism, among others. THE immediate impression of the aftermath of the meeting of leaders of Southwest, Southeast, South/south and the Middle Belt in Enugu is the possibility of a strong stand on the issue of restructuring. Has the south at last found a common ground to rally on the historic Nigeria project? The late Libyan strong man, Muammar el Ghadaffi had at the peak of massacre of innocent citizens in Plateau State by suspected herdsmen suggested that Nigeria be separated into two nations to solve the incessant settler-resident crises in the country. Many observers saw the suggestion as both outlandish and impracticable given the intricate mesh of geographical and cultural linkages. Others believed that the late Libyan strong man spoke in a veiled effort to justify the arming of some cross-border rustlers and religious fundamentalists to destabilise the country. Ghadaffi was also accused of nursing the ambition for territorial expansion in pursuit of Africa’s King of Kings dream. But the late Ghaddafi must have spoken based on the Rhodesian example during the fight for independence. While the Northern Rhodesia (Zambia) believed that the region was due for internal self-government, Southern Rhodesia (Zimbabwe) vacillated out of apprehension that the north might enslave them due to disparity in the number of educated citizens. A similar scenario played out in Nigeria, but Chief Obafemi Awolowo, whose vision of an ideal statecraft seemed to tally with Kenneth Kaunda, did not get Dr. Nnamdi Azikiwe to side with him against the lethargy in the northern protectorate to accept internal self-government in 1957.Ever since, the socio-political orientation of Awolowo’s Yoruba ethnic group and Azikiwe’s Igbo, continued to run along those parallel routes in the Nigeria project. But, looking through the communiqué released by leaders of Southwest, Southeast, South/south and Middle Belt, the likelihood of a turnaround on the issue of revisiting Nigeria’s federal structure becomes feasible. Eminent constitutional lawyer, Prof. Ben Nwabueze, had in an interview with The Guardian regretted that the obduracy of President Muhammadu Buhari and most elements from the north over restructuring, might throw up a logjam thereby giving rise to a situation similar to the Zambia-Zimbabwe scenario. Quite poignant is the leaders’ recognition of the fact that “in a long history of close relations and association, the Igbo and Yoruba have no recorded instances of violence against each other’s ethnic group, such as inter-ethnic mass killings and destruction and/or seizure of property,” They noted how the ethnic groups “have lived, worked and prospered together, accommodating and respecting their differences,” adding that grievances generated by past errors on both sides can no longer justify or sustain dissension between them. But it is in the hope that solidarity and mutual collaboration of the two ethnic groups “have the capacity to dramatically change the fortunes of Nigeria” that the issue of restructuring and 2019 comes into view.The challenge to the full realization of that view depends on how far the collaboration could go in political expression, particularly against the background that while Southwest tends towards the All Progressives Congress (APC), the Southeast, South/south and MB, show recessive inclination to a variety of political platforms. To a large extent, the 2019 general election would show how far the groups’ promise to “collaborate closely to create mutually beneficial opportunities” would pan out. It is also interesting that the handshake summit’s resolutions revolve around building “a strong alliance to advance their ever-growing mutual interests” and striving together to meet the common responsibilities of building a united, coherent and prosperous nation – state. It is at that juncture that the groups dispelled the fear of possible Zambia-Zimbabwe separation, especially the emphasis on “free peoples, freely relating to one another across the dividing lines of tribe, religion, region and politics.”While declaring unflinching support for a truly federal union of Nigeria that is democratic, stable, secure, peaceful, just and fair to all its citizens, the leaders declared their commitment to work in close partnership and through peaceful means to restructure Nigeria. 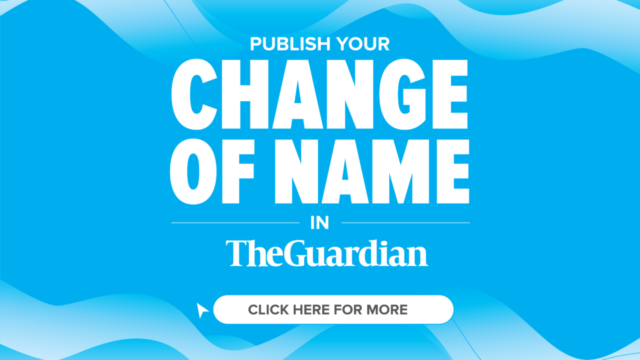 Signs that the issue of restructuring could be the defining issue in the 2019 were reinforced by the position of a chieftain of APC, Osita Okechukwu, shortly before the handshake conference in Enugu.In a statement made available to The Guardian, Okechukwu, who is also the Director General of the Voice of Nigeria (VON), noted that the handshake across the Niger was a welcome development. Okechukwu, however, appealed to the Igbo and Yoruba leadership to support the rail, roads and power projects of President Buhari describing them as the pillars of economic restructuring initiated by the president. He said the meeting provided the opportunity for the Igbo delegates to lobby the their Yoruba counterparts to support the creation of an additional state in Southeast, as well as, a president of Igbo extraction in 2023 after Buhari’s second term. The APC chieftain disclosed that President Buhari would address the issue of political restructuring in his second term, stressing that the president chose to first embark on a massive renewal of critical infrastructure before considering the political. 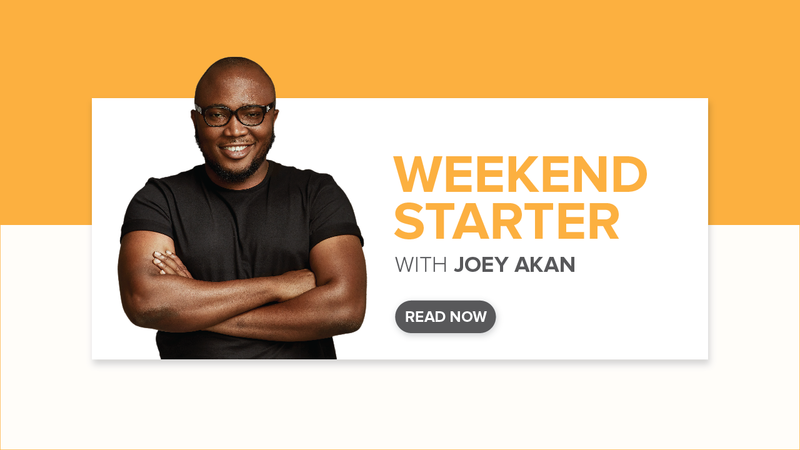 The implication of the varying stands on restructuring is that 2019 would determine to what extent Nigeria would retain its traditional alliances. And with the onslaught of herdsmen on themiddle belt, particularly the ominous claim that Benue State is a conquered territory, Nigerians may be compelled to use their votes to make a bold statement on how they want to be governed. Yet amid the optimism that the ultimate decision would lies on the ballot, there is the sneaky danger of a possible attempt to manipulate the election and tilt victory to the side of federal might.That thinking might have influenced Buhari’s warning against electoral malfeasance and violence. But with his legendary aloof leadership style, only time would tell which faction of the cabals would have the last say on the use of coercive institutions of the government in 2019. Would the South vote as a bloc and stonewall any attempt to breach the process? How far would the north go in acquiescing to restructuring as outlined by the leaders of Southern and Middle Belt regions? Being five bonus years on top the centenary of the amalgamation, whose will would define the future of Nigeria, the people or the men in power? No doubt, the country is back to the pre-2015 situation. And how the country would fare depends on how politicians decide to moderate their ambitions in the interest of the masses.